Glass bottle with cork stopper containing a half ounce of Neo-Protosil (Collidal Silver Iodide Compound). Used as an antiseptic cermicide. 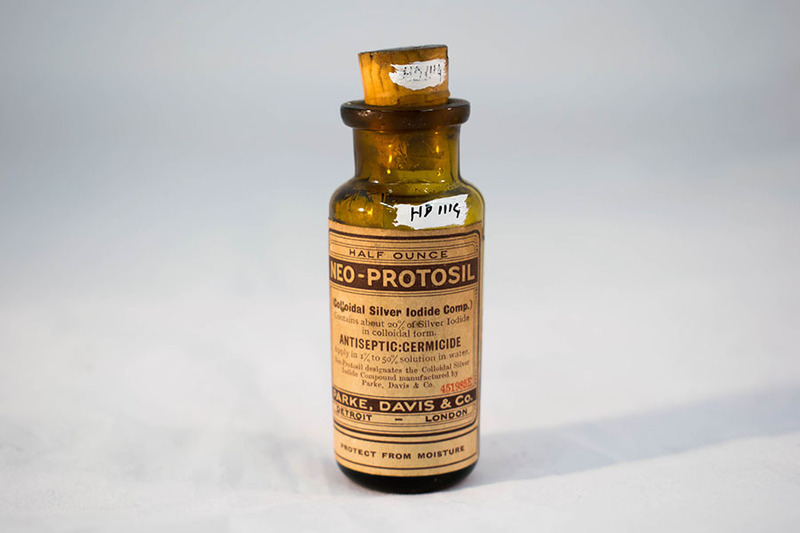 “Neoprotosil Antiseptic,” Heritage, accessed April 22, 2019, https://heritage.rcpsg.ac.uk/items/show/581. 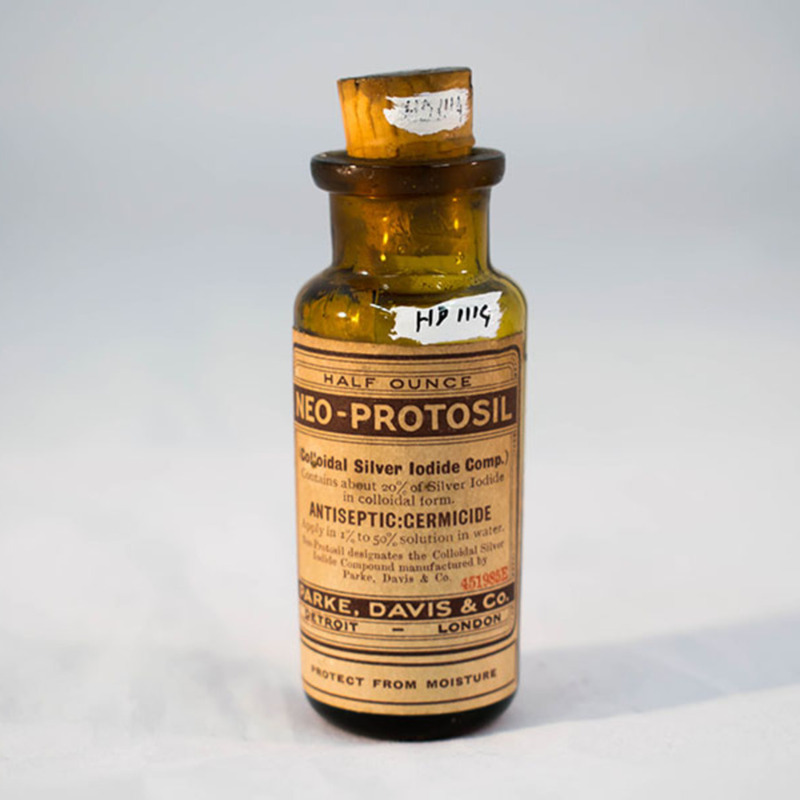 Description: Glass bottle with cork stopper containing a half ounce of Neo-Protosil (Collidal Silver Iodide Compound). Used as an antiseptic cermicide.